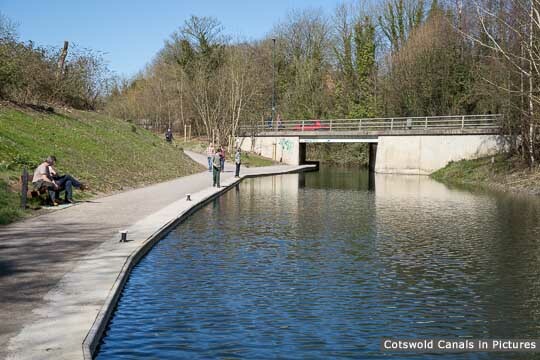 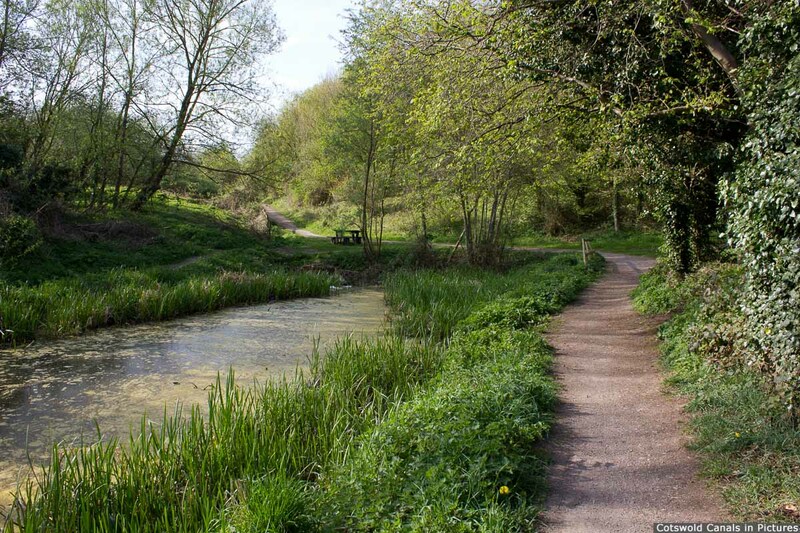 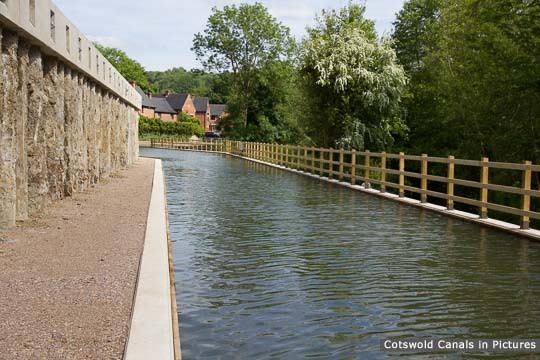 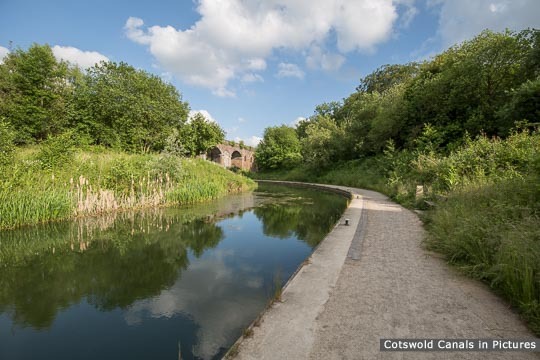 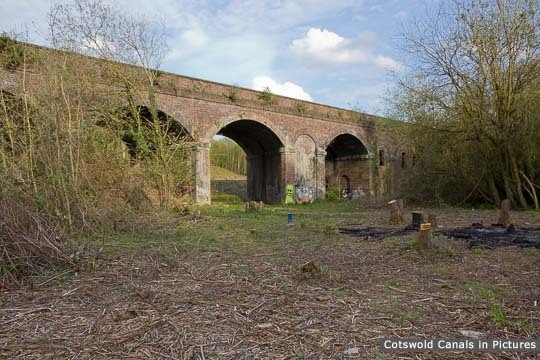 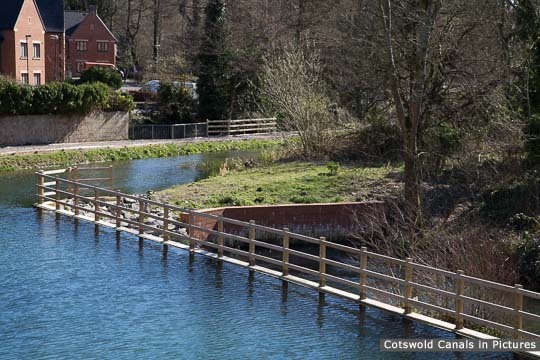 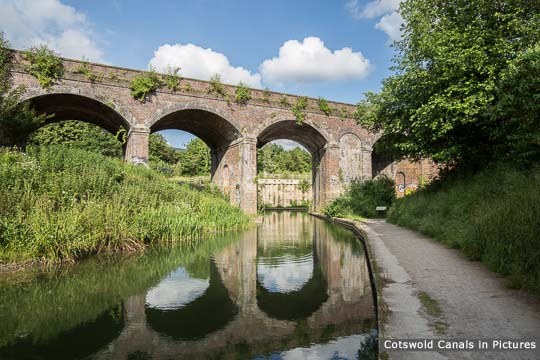 The original canal line was lost when the Stroud bypass (Dr Newton's Way) was built in the 1980s. The new route, using a different arch under the railway viaduct, was mostly occupied by an old rubbish tip. 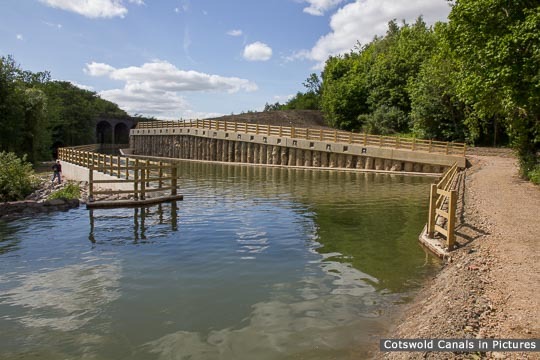 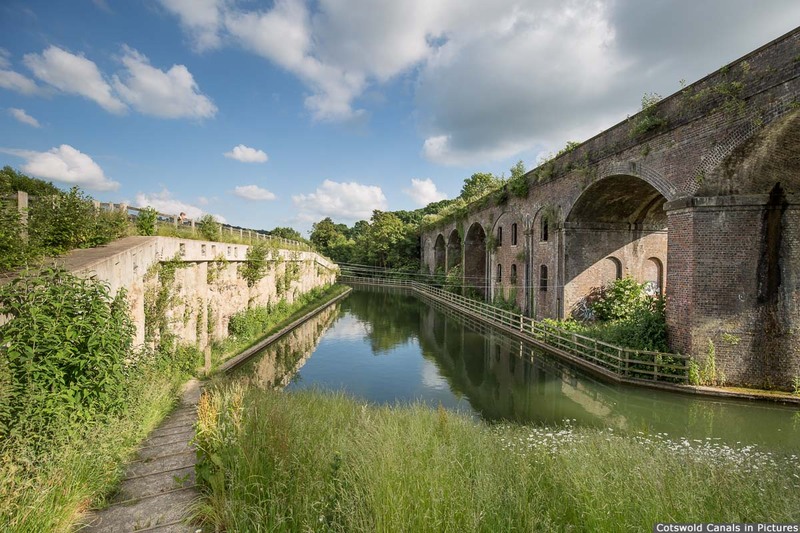 The new 330m length of canal comprises a concrete channel under and east of the railway viaduct, and a clay-lined section to the west. 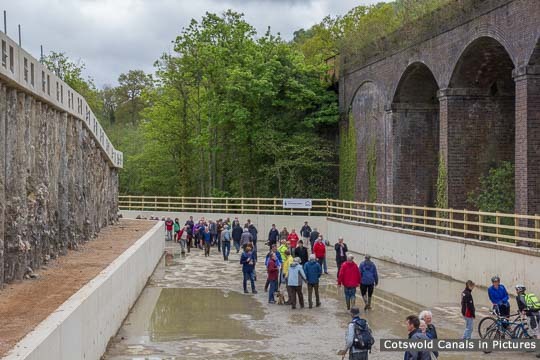 The site was opened to the Public on May 10 & 11, 2013 to view the new concrete channel. At the eastern end of the new canal section there is a winding hole.